Betson Enterprises - Leader in video games sales and vending sales. Transform your location into a profitable Family Entertainment Center. Our scope of products and services touches all your family entertainment needs. 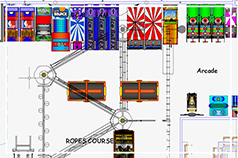 We offer amusement games, vending machines, office coffee equipment, parts, service and billiard products. Since 1934 we have helped customers make the changes they need to stay profitable—evolving with our customers and yours. 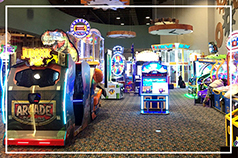 Our experienced team has provided design, installation and consultative services for hundreds of family entertainment centers. From imagining the possibilities to providing opening-day support, we will get your arcade up and running in no time. Financing should not be a barrier to your success. 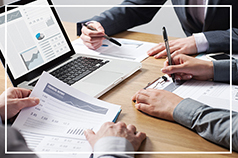 That’s why we offer customized plans, competitive interest rates for leasing, financing and deferred payments through our private, in-house finance company. 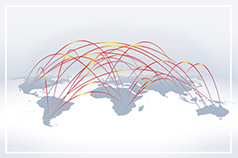 Our international amusement sales team is experienced with the import and export requirements needed to get the games you want into your hands — wherever you are in the world. 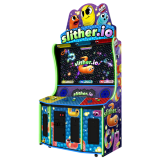 Investing in a properly designed game room is a sound decision — amusement games are an investment that generates revenue immediately. In fact, your game room space can be one of the most profitable aspects of your business. We’ve designed hundreds of game rooms creating Family Entertainment Center success. Our phased approach covers everything from amusement sales, financing and strategy to installation, training and support. Let us help make your game room an enjoyable and profitable part of your business. Betson helped develop a solution for our new 86,000 sq. ft. facility. They guided me throughout the process and kept the project on schedule and on budget. The overall experience was excellent! With 80+ years of experience, Betson Enterprises has helped build the industry. We want to share tips & insights that have led to our success and give you a peek at how our industry is evolving.